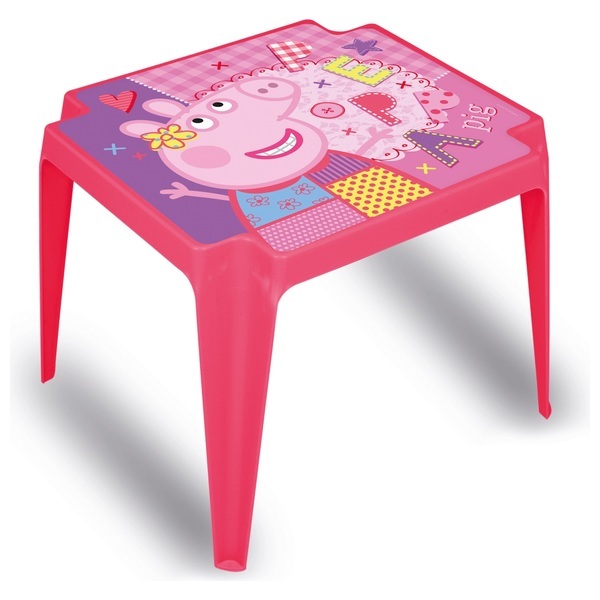 Peppa Pig fans will love this pink Peppa Pig Plastic Table. It features an adorable Peppa Pig design. EU Warning: Only to be used under supervision of an adult. This product is not recommended for use on polished or smooth surfaces.